Another time I tried to get two at once and boy let me tell you these QT Crosses are getting stout because the two of them dragged me across the pen. Neither Mom nor I could stop laughing at that one. I will tell you that without Dad here there is a lot more giggling, laughing and silliness going on when we work the Herd/flock. When we got done I fed them some more pumpkins and they were all happy. 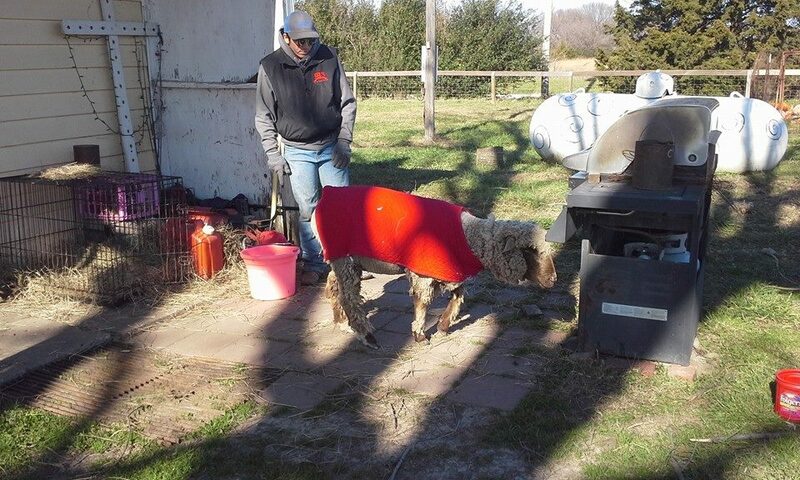 Mom did take some time to Modify a calf jacket for Big Momma. She will be good to go for the winter now. After that I cleaned up a bit on my room while we wait for Dirtpatcheaven to get here. Mom says if anyone is interested in meeting them let us know and we can make sure they are here when you get here…. LOL And there was one other thing that I looked up while I waited. With Mom’s new breeding plan of two breeding pens running twice, we now could have babies as early as Mid January. That is only if anything got pregnant the first day they were together. The end of the season will be the end of April. And that is if they were gotten on the very last day together. If I was calculating though I would say the early part to mid February will be the first we see of Babies. Anyway, for now I am heading out to rope … our Visitors will be here soon enough!! This morning Mom and I started out on the road. We were on a mission. A mission to get pumpkins. The pumpkins were from a Fall fundraiser pumpkin patch. It is actually the same one that we got them from a few years back. The Goats and Sheep love them and to us it is free food for them. The best part is that from what we hear pumpkins help naturally worm the animals. Anyway, when we got home I dropped the trailer in the drive way and then headed off to my Uncle’s house to help load out some calves. It didn’t take to long as when I got their others actually had already counted the calves. They said they didn’t even know I was coming. When I got home Mom and I unloaded all the pumpkins and took some to the pasture and each pen so that the animals could enjoy them. Just to give you an idea of how many pumpkins we are talking …. they filled the one horse trailer! After we got the pumpkins taken care of I went out to rope for a bit. While I waited for Dad to get home Mom took time to figure up Breeding season. Well, guess what?? Everything has been exposed for at least two cycles. That means breeding season is pretty much over. So Mom and I sorted the men and got them back to the man pen. This will also give the red shed pen a break before the Bull must return to it. After I got done with that I spent some time roping. I had to cut it short because I needed to take time to worm the horses. I didn’t get the apple flavored ones this time so the horses weren’t really liking it so it took me a bit more time. So I know I have been absent for a while. The one thing that is sucking up so much of my time is that I have taken on the horse named on Golden Boy. I am training him to be a roping horse. I am being paid to train him so each day I work him. With everything else I do it seems like I am busy all the time getting things done but nothing really exciting. There were little things that happened. We got Billy Nelson. He is a little goat that is here to play with the kids. He has even been helping me with my roping. Then again we also got two new calves that are helping me too. I have been Team roping on Thursdays and calf roping on the weekends. I won a new buckle in the calf roping not to long ago and I did win a bit in the team roping. Nothing huge but just enough to keep going to the next one. So I guess it is all just kind of working out. 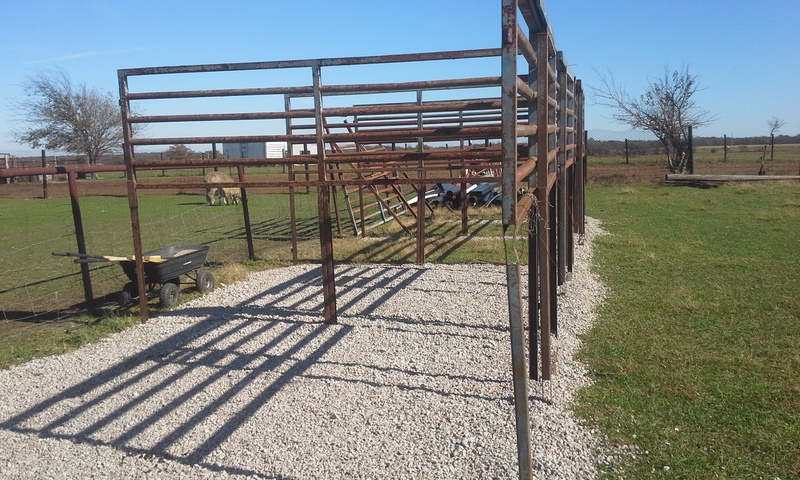 Other then that we have been working on a few things around the farm. The chicken coop is now winterized. 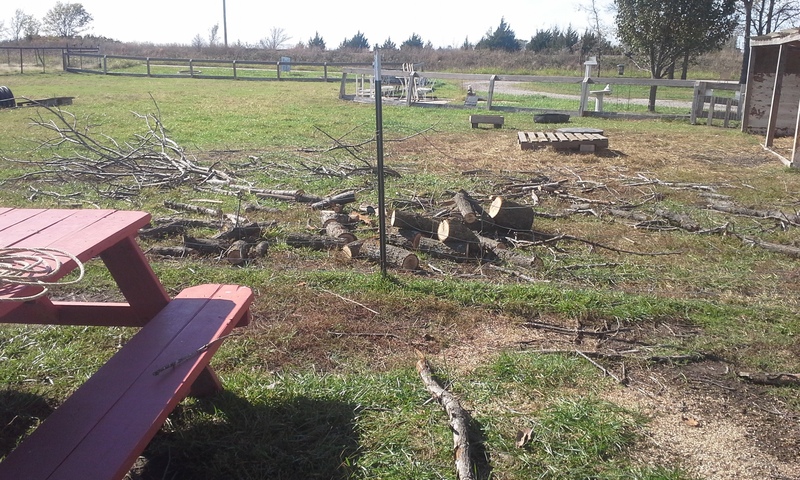 I have been helping Mom make four new horse runs and Dad and I have been bringing in fire wood for the winter. We spent Thanksgiving at a Roping but we had a family meal on Friday. Then we decorated for Christmas. One exciting thing that is happening around here is that Dirtpatcheaven is coming to visit. They are on YouTube. You can find them HERE. 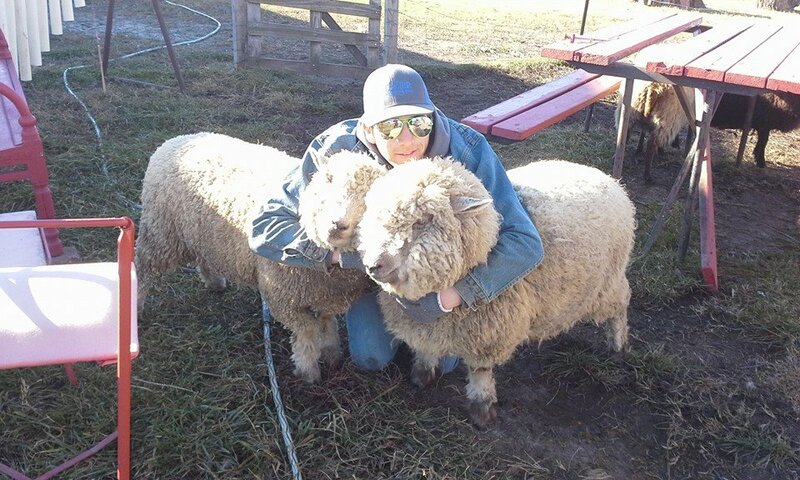 They are a homesteading family from Idaho. They are now traveling across the states in an RV visiting other farms. Mom is hoping that they will stay a few days. If they do she will put it out on Facebook and anyone interested can come visit with them. We won’t know the exact day but it looks as if it will happen this Thursday or so. If you are interested in meeting them watch our Facebook page to see when they arrive. Other then that Mom put her soaps and her spice scented tea coasters in the Etsy shop. You can check it all out HERE. With Winter coming on Mom said she would help keep me on track with my blog. I am thinking with the cooler weather I will be in a bit earlier and find time to post a note each night. So the weekend was full of ACRA finals. I spent most of my days making time to ride the horse I was contracted to ride and getting Coop to the Finals. Not only did I mount the man that asked me first but I mounted another that didn’t do any good. I was surprised by just how many people juggled horses through the whole thing. There were guys that left horses in Texas and flew back to make it on time and they had to borrow horses. There were horses that didn’t work well for whatever reason and those guys found new mounts. There were horses that just could do three nights in a row and those guys were looking for a mount as well. It was the oddest thing I think I have seen in a long time. I never really thought about not having a Horse that would work for me. I have Ice and Coop and Storm right now and when Storm finds her forever home I will have Precious and Derf and Caballo to work with and get ready to rope. I guess even though I haven’t appreciated it in the past, the fact is that I am really Blessed in that aspect. 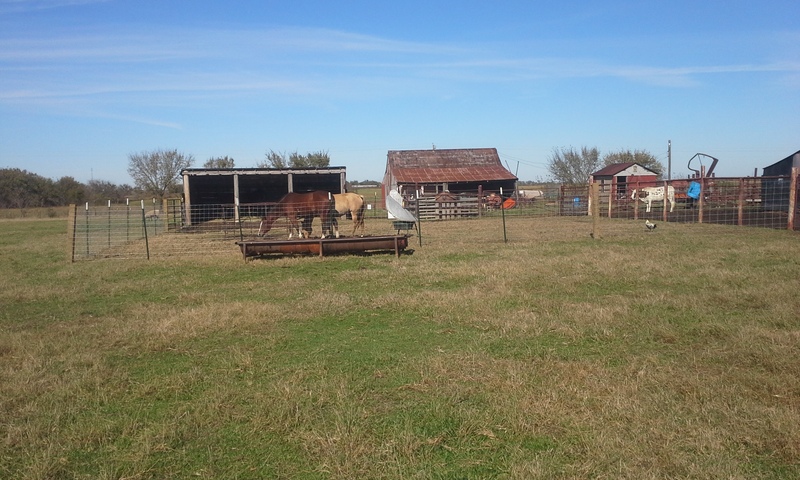 Mom has always made sure there were horses around this place that I could rope and ride and win on. With that said she is at it again. She has adopted a 3 year old sorrel Mustang. 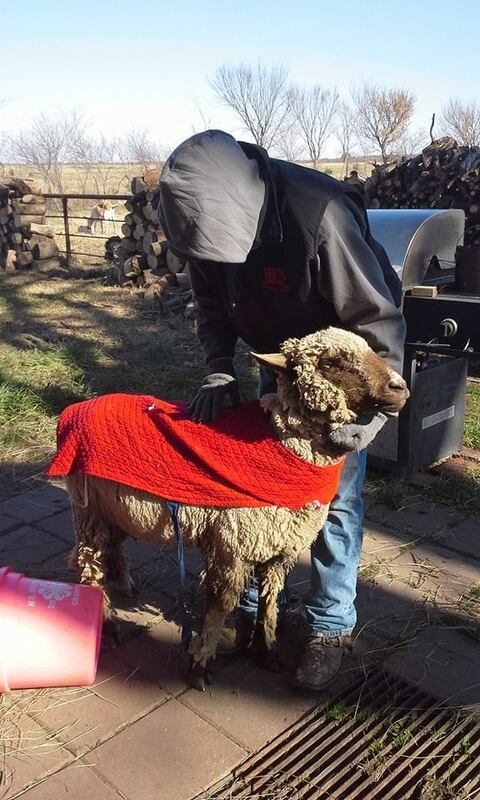 She is in Wyoming right now but she will be making her way to the farm in the months to come. She isn’t flashy but she seems to have a good head on her shoulders and is built right for a roping horse. We will know more once she gets here. After this weekend Dad and I spent yesterday trying to fix a few things around the farm as we really hadn’t gotten much done with all the running to finals. I started by borrowing a welder from my Uncle. We had to do a bit of adjustment to get it running but after that it was all good. We fixed two gates and tacked several panels that needed it. The other hay feeder is now put back together from where B’Day decided it was a toy to be tossed around. And then finally we fixed the horse stall runs that I bartered for this summer. After writing this It doesn’t seem to add up to much but I was busy all weekend coming and going. I did spend time running to get Mom from her booth so I could use the truck and I loaded out 15 bales of hay for a guy … I guess I did alot of little things that don’t amount to a great blog post but did take up my time. As you can see I am having real issues finding time to blog on a regular basis. I know you are tired of hearing it and it is starting to sound like an excuse but I never realized just how much time I lose in a day when I don’t get up so early. With winter setting in I am roping later in the day as well. Add that to the fact that it was October and I can only hope you all can understand and forgive me. During October we are closed to the public. It is the month that I start out in Dallas. When we get home there is always a lot we want to get done. During this month we set out to get the animals all on track with our breeding programs. B’Day returns home and the Bull is turned out on the pasture. 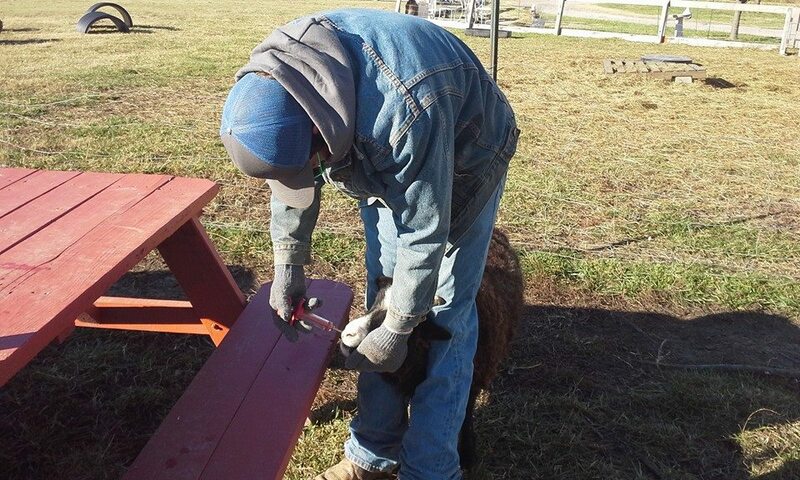 We also tackle maintenance jobs around the farm. It is the time of year we work the fence lines, build new pens and structures and do repairs to the old sheds and pens around the farm. This year I also took on an outside horse to train. So we finished this pen … Okay, so Mom did most of the work but at least it is done. This is what we are calling our Christmas Gift. Instead of spending a ton on Christmas we use the money we would spend on Christmas to improve the farm. 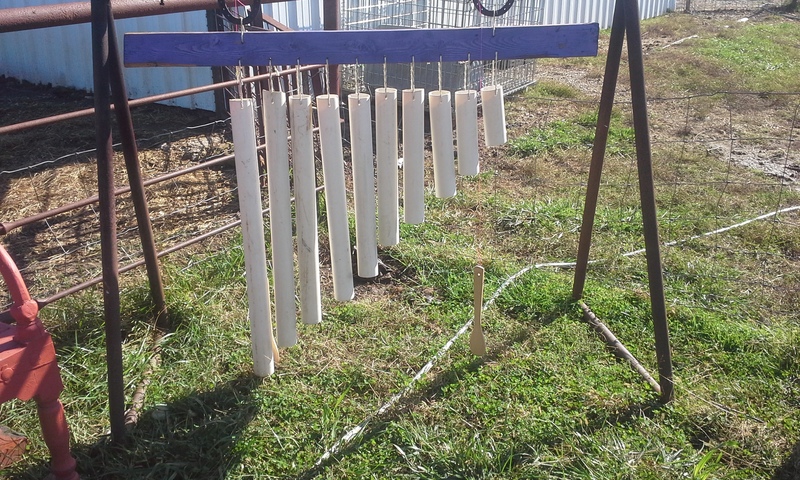 We also added a xylophone kind of Toy for the little kids that get scared of the animals when they visit. It was easy to do but just took time. I helped Mom make it by doing all the tying. Another thing we are working on is the new horse runs. Mom traded some hay this fall for four 10 X 10 stalls. Now we are planning to put a shed over them and add on some runs to them as well. So far the stalls are standing and Mom spent two days spreading rock in two of the stalls and all footers for the other stalls. 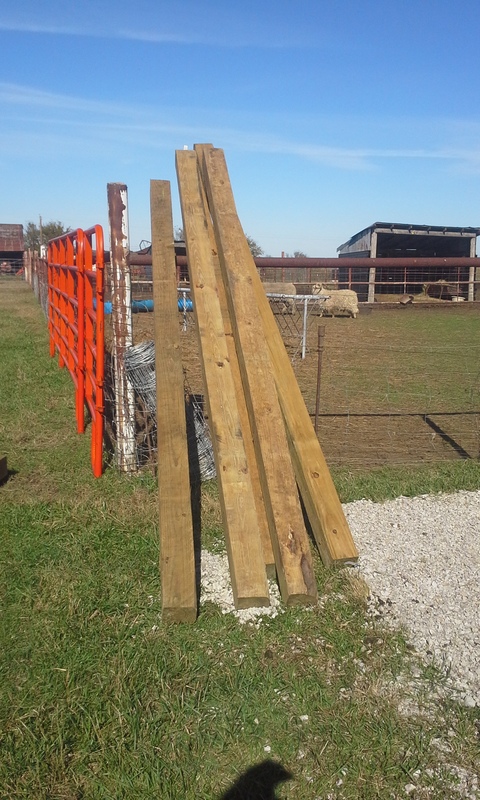 So far we have all the posts for the shed but we haven’t set them yet. 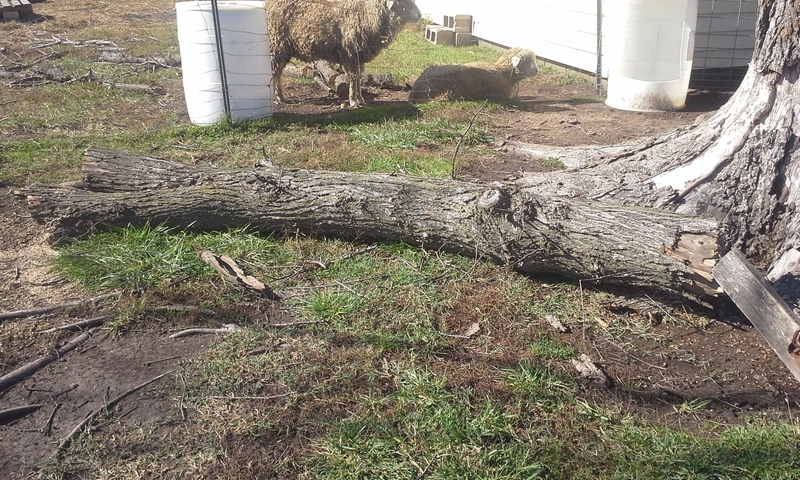 There are half the posts in the barn and half out by the shed. Now we have moving into November. Now starts the work on the Christmas Craft Booths and the Holidays. Mom has worked hard to get things organized for her booths. She has everything in totes and pretty much ready at all times. That means there really isn’t much to do to get ready … LOL. As for me … This weekend I will be attending the ACRA finals. I won’t be roping though. I am going to mount another roper. That means he will be using Coop to rope on. If he wins I get a paycheck. If not I kind of wasted my time. I am praying for a paycheck. If it goes well, maybe I will have found the direction my life should head. I will keep you posted!